Even though they've long been overshadowed by manufacturers from other countries, Korean cars are considered to be some of the best cars on the market today. The reasons for this are numerous. From continuous technological improvements and innovations to top-notch safety and security features, it's safe to say Korean cars are among the best vehicles for the average drivers. 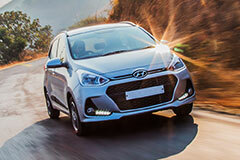 The most popular and respected Korean manufacturers are Hyundai and Kia. In this article, we will explain what it is that make these cars popular with drivers from all over the world. Hyundai Motor Company was founded in 1967, and over the past few decades the company has become an important part of European and American car markets. Thanks to a wide variety of features important to drivers, today you can find them pretty much everywhere. Although Hyundai has never been the maker of supercars, there is no doubt that some of the available models offer impressive performance. Hyundai Grandeur or Genesis Coupe are some of the best-known examples of this. Since the car market is by far one of the most competitive ones, it's important to introduce innovations as frequently as possible. Hyundai knows this, which is the reason why their cars are packed with modern features. In some of the more recent models, you can find features such as smart cruise control, head-up display, and 360-degree monitoring systems. This is where Hyundai cars shine. There are all kinds of security features that make them some of the most reliable cars out there. For example, the Autonomous Emergency Braking system (AEB) offers great protection from crashing by stopping the car in case of an emergency. There is also Advanced Traction Cornering Control (ATCC), which is very useful when turning at high speeds, since it significantly improves agility. Of course, these are only some of the features of Hyundai cars. Depending on the model, you will find a different set of features, and you can rest assured they will provide great driving experience. Kia Motor Corporation is the oldest South Korean vehicle manufacturer. It was founded in 1944 and has sold hundreds of thousands of vehicles to this day. Kia cars are known for their engines that very fuel efficient, while at the same time provide great performance and speed. Pretty much every model offers different performance options, so no matter what kind of a driver you are, you can find the one that suits your need the best. One of the features that Kia is the proudest of is how silent their cars are, especially the newer models. The reason for this is the technology that absorbs sounds and reduces noise. Other than this, newer models are packed with intelligent features such as Around View Monitoring System and Lane Keeping Assist System, which make cars a lot smarter and offer a peaceful driving experience. When it comes to safety, Kia cars don't disappoint. One of the latest innovations they implemented is the Driver Attention Alert (DAA) System, which can detect fatigue patterns and give drivers advice on whether they should take a break. There is also the Blind Spot Detection (SBSD) System, which will make sure you notice everything around you. The features we mentioned here are commonly seen in newer and more premium models, but that doesn't mean you need to spend a ton of money on a good Kia car. Even the older models have a lot to offer and they're usually pretty affordable, which makes them so popular among drivers. You can now understand why Korean cars are sought after by people from around the globe. Safety, convenience, and modern technologies are only some of the things you get when you purchase their cars. Korea is an important player in the car manufacturing industry, and that's likely to be the case for a long time to come.